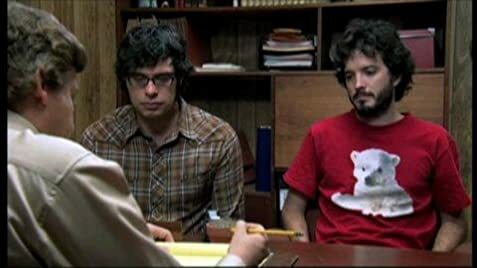 How many episodes of Flight of the Conchords have you seen? Jemaine: You're so beautiful, like a tree or a high-class prostitute. Words truly can't express the way I feel about Flight of the Conchords. My younger brother showed me a clip of their song "Business Time" performed live and ever since I've been hooked. The show itself is truly hilarious, but what really makes it a true 10/10 is the music. With songs like Business Time, Robots, Beautiful Girl, Bowie, Leggy Blonde and many more this show will make you cry tears of joy. Not only are the duo of the band brilliant but they also have comedians Rhys Darby as their hilariously pathetic band manager Murray and Arj Barker as their friend and local pawn shop guy to teach them how things work in America. If you simply go over to Youtube and search for Flight of the Conchords you're bound to find an ample source of entertainment but trust me, watch the series as well; it is simply brilliant. 62 of 68 people found this review helpful. Was this review helpful to you?